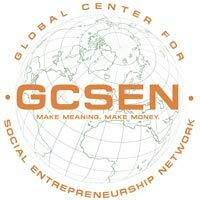 Vassar College has partnered with GCSEN (Global Center for Social Entrepreneurship Network) to offer a unique social venture internship opportunity to Vassar students through the Office of Community Engaged Learning and the Career Development Office. This opportunity is also available to alumnae/i, at cost, in the form of a Social Venture Apprenticeship. The SVA Program is for adults who are considering a career change and want to move the world to a better place by starting a social venture. Some key benefits include: support in designing a social venture around your gifts, talents, and passions; inspiration and assistance in a collaborative community; and access to coaches and mentors. Interested students should contact the Office of Community Engaged Learning. Alumnae/i who want to learn more or enroll should visit GCSEN.